-Heat 2tbs of rapeseed oil in a pan. Make sure the oil is very hot , then put the chopped onion, garlic and red chilli and flash fry quickly. – Then in goes the mince pork and stir until the pork is semi cooked. – Then add the fish sauce, oyster sauce, dark soy sauce ,sugar , mix all these in well with the pork until it’s cooked. – Add the water and keep stirring. Then add the basil ,turn the heat down to medium high. – Heat 2tbs of rapeseed oil in a separate non stick pan. Make sure the oil is very hot before cracking the two eggs into it. The hot oil should create the immediate crispy texture. 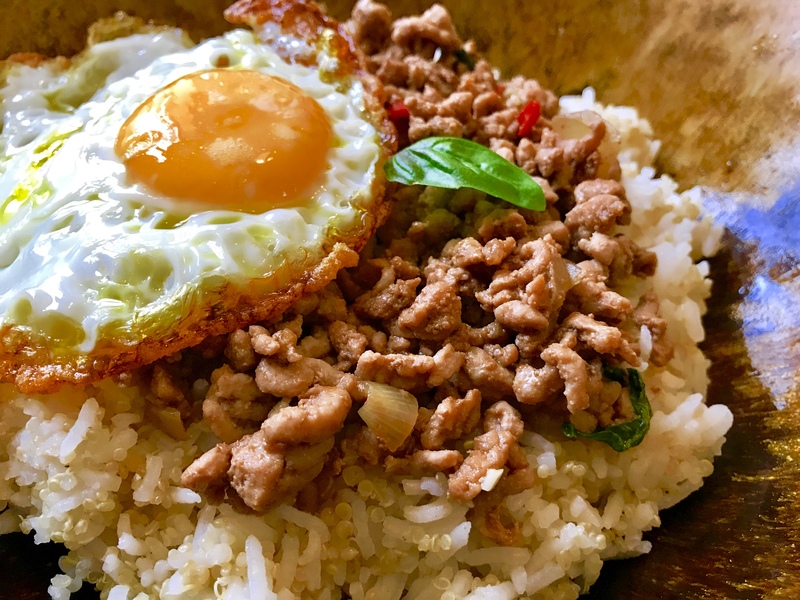 – Transfer Aromatic Mince Pork With Red Chilli And Basil onto the plate with Thai Jasmine rice then the fried egg on top. ( I added quinoa with my rice in the photos) That is it ! Mid week dinner can’t get any easier than this. Use a 1/2 of fresh chilli if you like it really spicy. 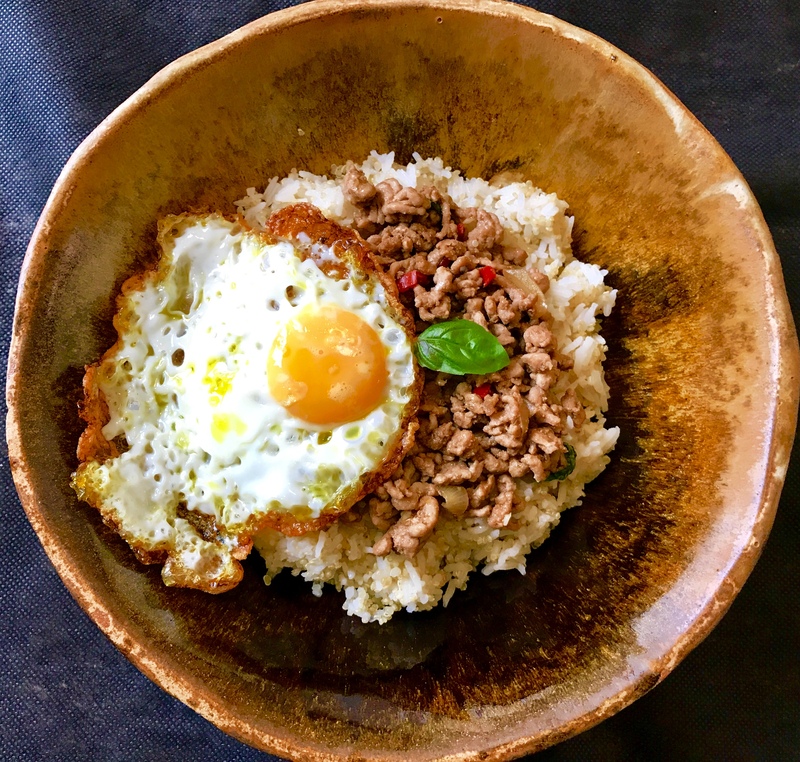 Garnish Aromatic Mince Pork With Red Chilli And Basil with cucumber to cool the dish down. Happy cooking!